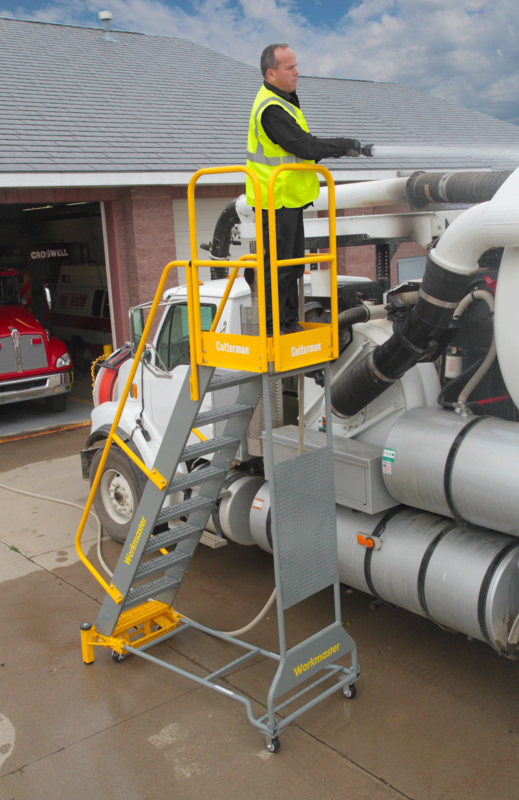 Every day, work is done where equipment needs to be able to take a beating and keep working. 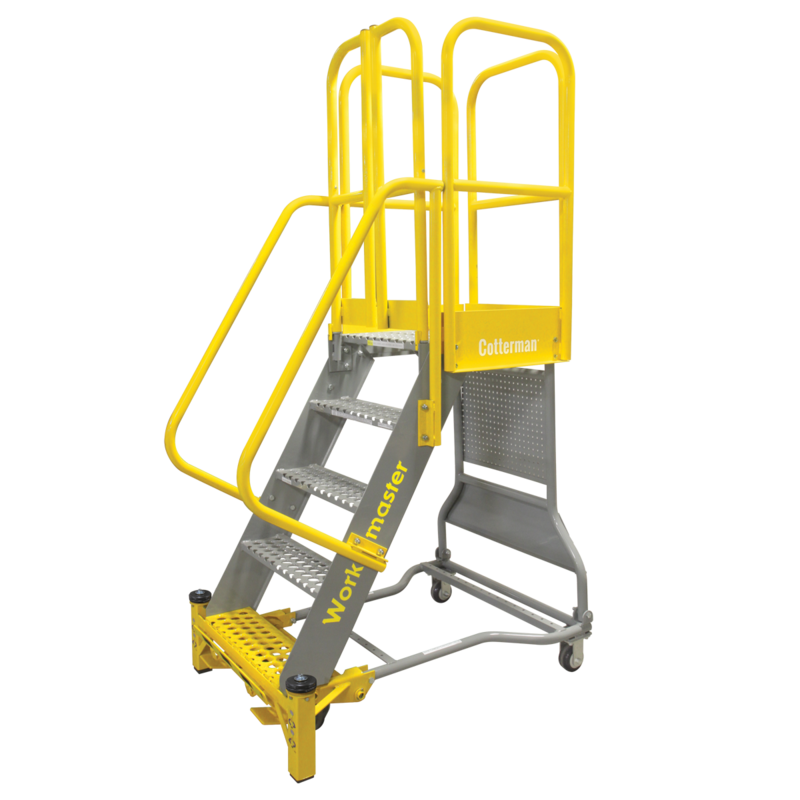 For the toughest jobs, Cotterman® offers the Super Duty Workmaster™ ladder. 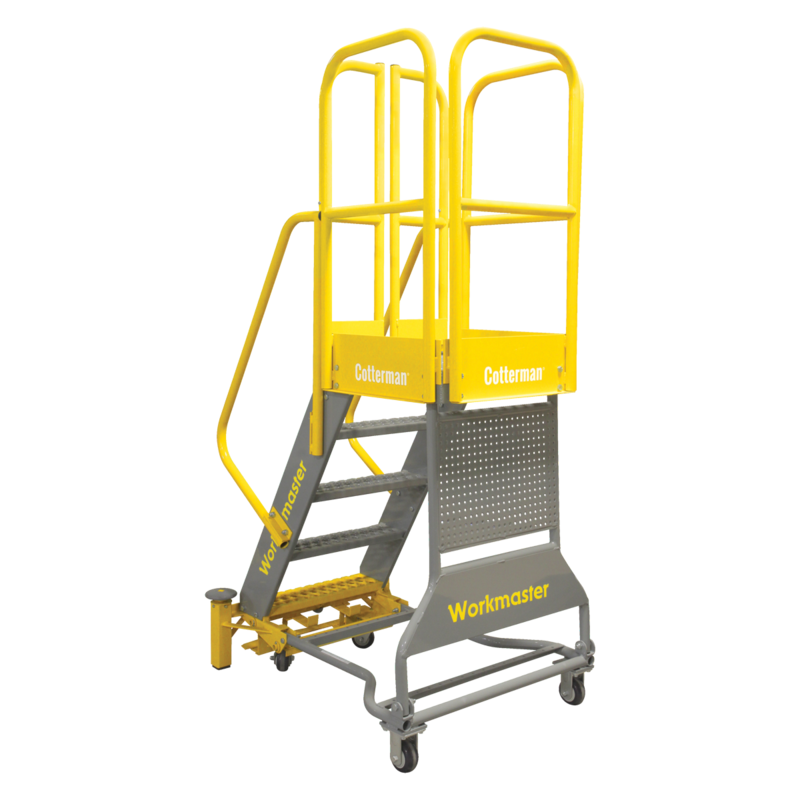 Built with extra heavy duty components, the Workmaster™ ladder is resistant to bumps and dings in harsh work environments. 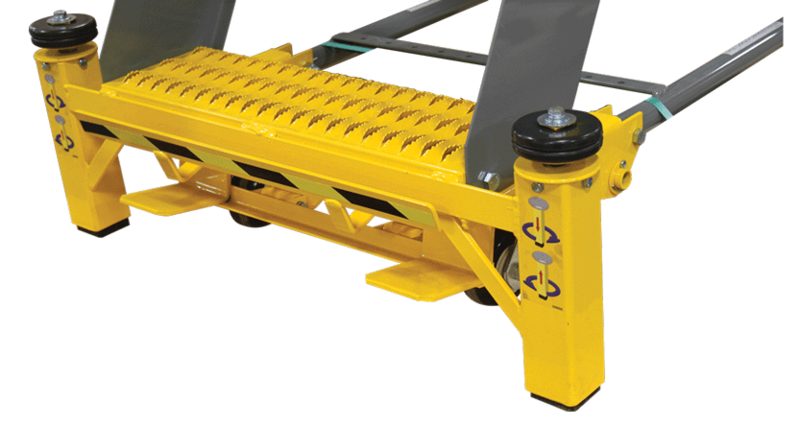 1-1/2″ diameter x 14 gauge tube construction. 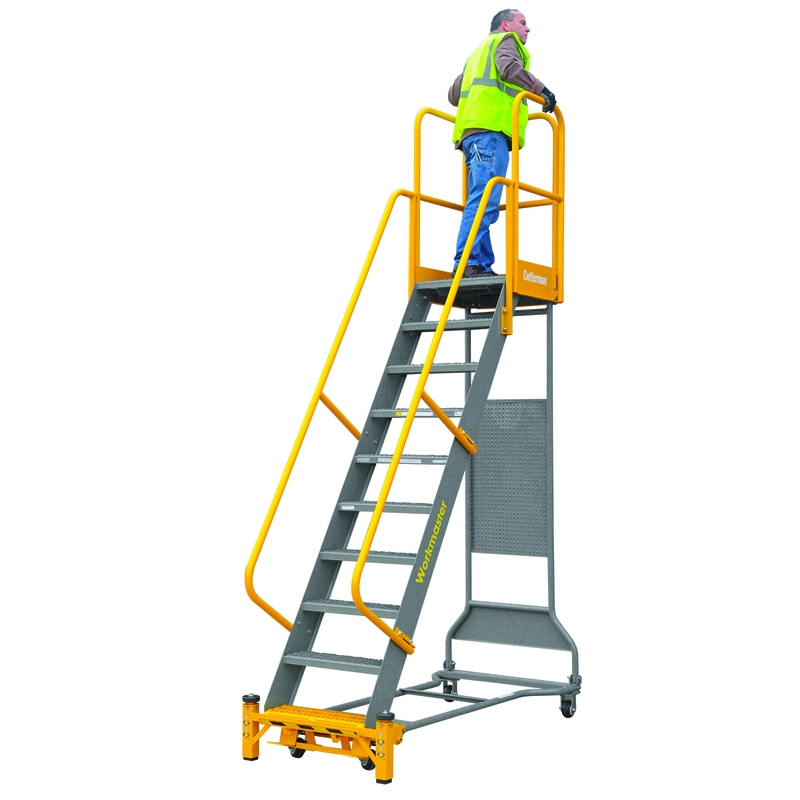 24″ x 24″ platform with optional self-closing safety gates (available for all 4 sides of platform). 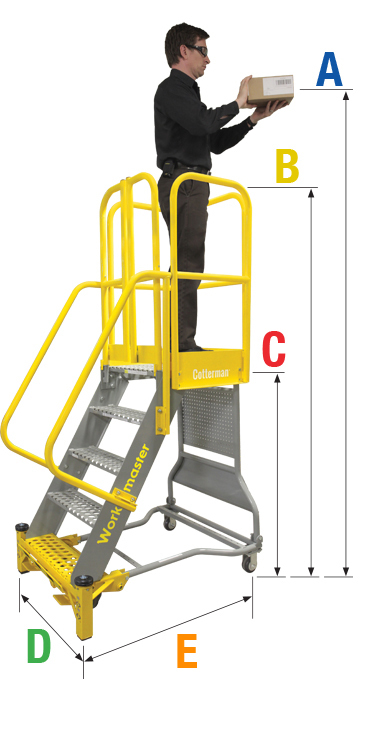 Adjustable front legs level the ladder. 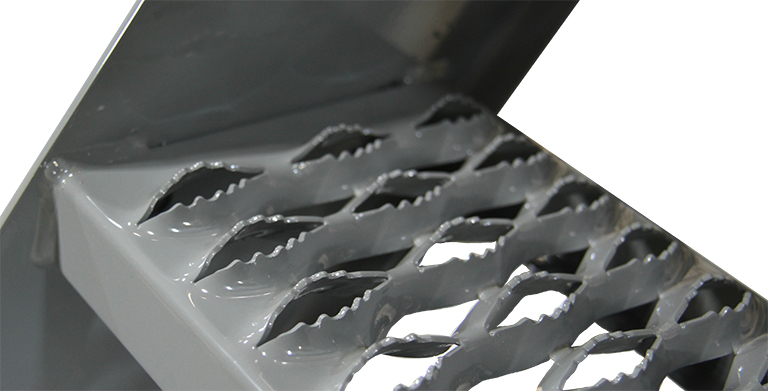 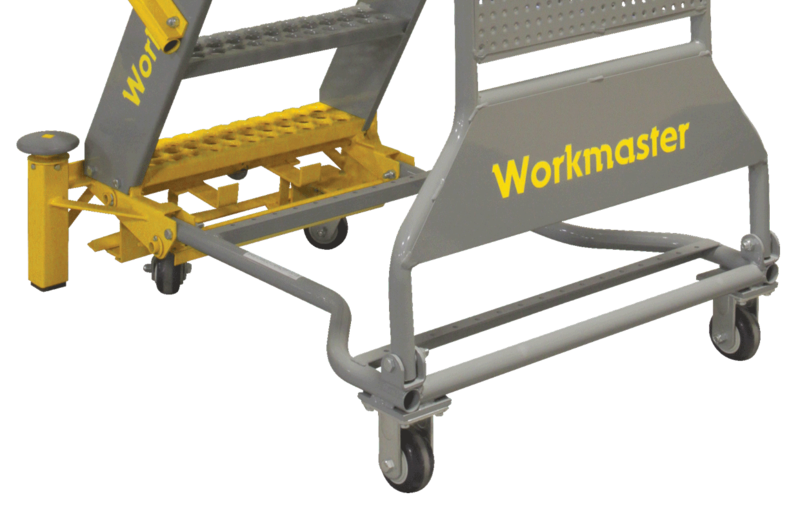 Two-tone powder coat finish creates high visibility. 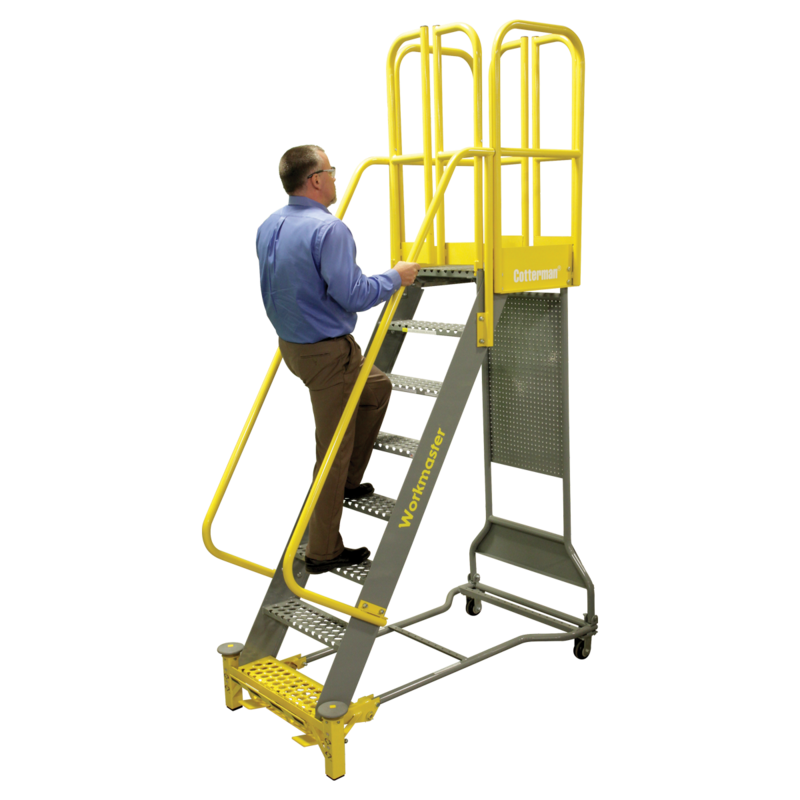 Workmaster™ Super Duty ladders meet applicable OSHA and ANSI standards. 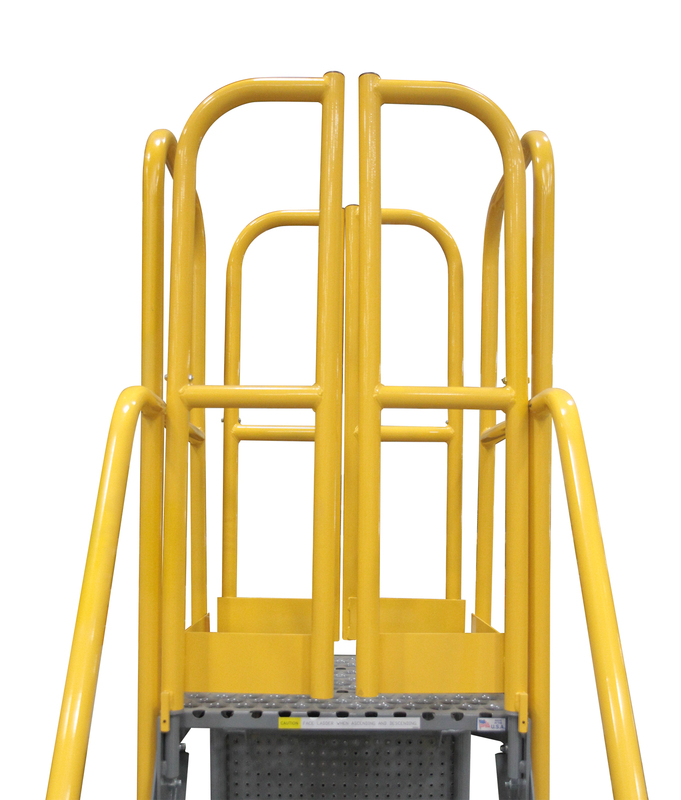 All tube members are 1-1/2” x 14 gauge steel tube construction. 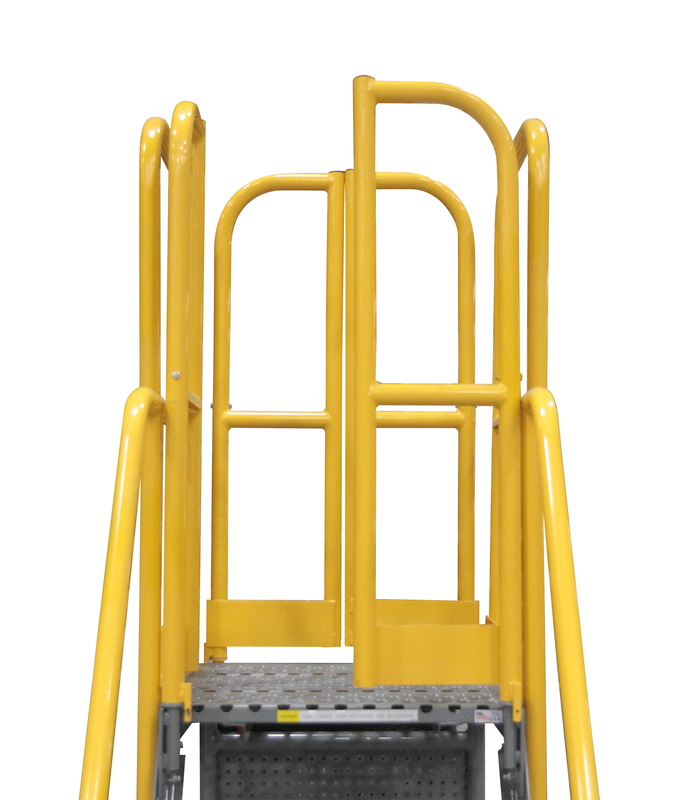 Foot-activated locking mechanism with heavy duty casters allow the ladder to be rolled from job to job reliably and efficiently every time. 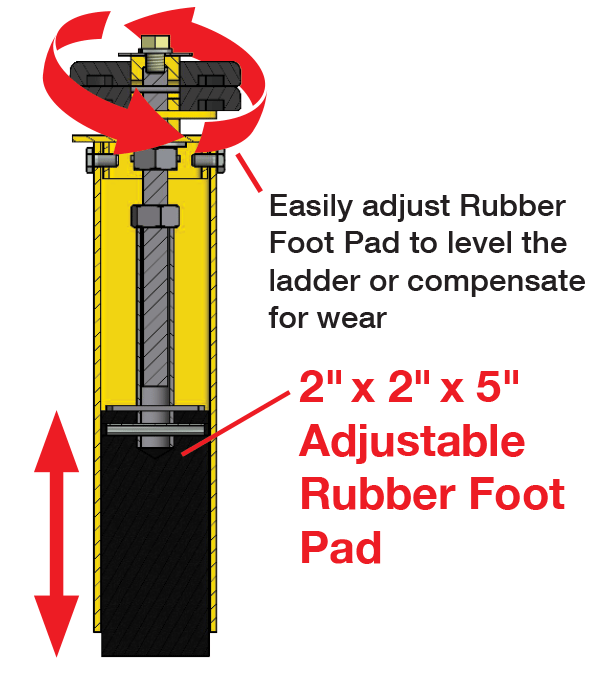 Field Replaceable, Adjustable Front Legs that level the ladder.